Office Green is proud to support the following charities below. 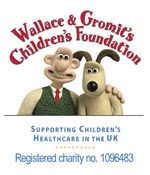 You can choose to donate the value of your points collected to any one of these great charities on your claim form or, if you do not wish to register, you can simply click on the charity you wish to support and send your inkjet cartridges and mobile phones to the freepost address detailed. Please click on the logos below for freepost details, more information and links to the charity web sites.